As fun as smart home technology can be, there is a more serious side — security systems. 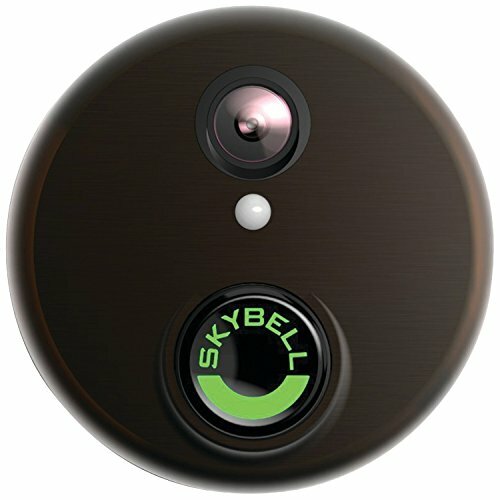 These can start off as simple as a single camera in your hallway, focused on the door, ready to record and alert you when it sees an unfamiliar face. Door and window sensors can alert you when they are opened; more cameras can be set up inside and out; smart lights can be configured to flood the house, garden or driveway in light when a stranger is spotted or a door is forced open. Systems with IFTTT (If This, Then That) compatibility can be configured to arm when you leave (based on the location of your smartphone) and disarm when you arrive home again. Others can be spoken to via a smart speaker like the Amazon Echo or Google Home. Wireless cameras can easily be set up outside with minimal effort, and some even claim to last a year before their battery needs charging. Video doorbells can also be wireless, making it easy to fit a camera, microphone and motion detector to your front door, ready to show you who's there, but also record anything suspicious; some even record and alert you when they hear the sound of broken glass. Making the leap from DIY to professionally installed security systems makes more options available. Would you like 24/7 monitoring of your home, by a professional who will call the emergency services if you can't? Or just when you're on vacation? Do you want camera footage to be stored locally, or uploaded to a cloud service where it can be accessed from wherever you might be? The smart home security system can be as simple or as comprehensive as you like, with prices to match. While DIY systems from companies like Nest, Ring and August use off-the-shelf products with recommended retail prices, complete systems are catered to your requirements; their prices will vary based on the size of your home and the time needed for installation. These systems require professional installation and include constant monitoring so the emergency services can be called on your behalf. ADT is over 140 years old and a familiar name in the security industry. 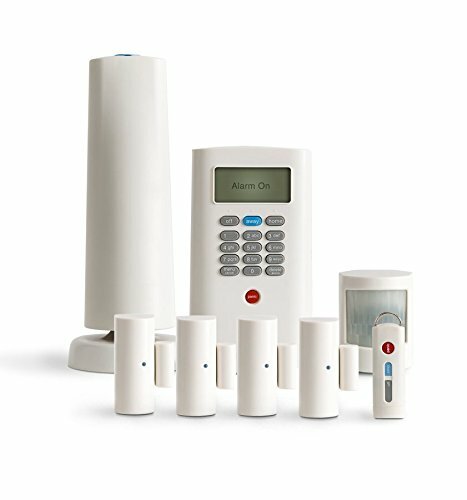 If you want a professionally fitted and constantly monitored home security system, there are three basic packages to pick from. 'Traditional' includes monitoring, burglary detection and fire, flood and carbon monoxide detection. 'Control' takes these features and adds a fob for remote arming and disarming, plus control of a range of smart home devices via the ADT Pulse smartphone app. Lights, locks, the garage door and your thermostat can be controlled by the app - remotely or while at home - and the system works with Amazon Alexa. 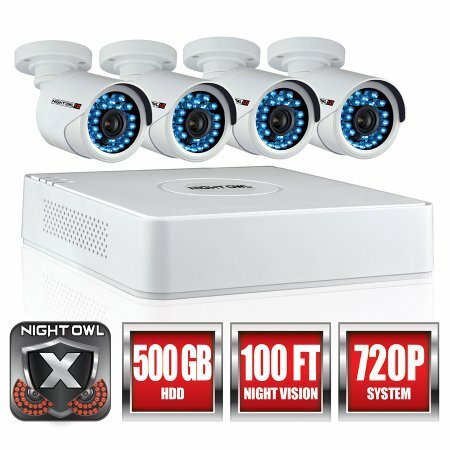 The 'Video' package takes all of this and adds security cameras which records video when motion is detected. A live view of the camera can be seen at any time through the smartphone app. Although describing itself as a smart home company, Vivint's services are focused on security. A complete package from Vivint includes a doorbell camera, indoor and outdoor security cameras, smart locks, a connected thermostat and garage door controls. Plus, the system comes with 24/7 video recording, which can be viewed via the smartphone app, and 24/7 professional monitoring. However, unlike with ADT, contracted monitoring is not compulsory if you don't want it. The system requires professional installation and the Vivint smartphone app can be used to control every element, from your locks and garage door, to the heating and cooling of your home. Alerts will be sent to your phone when the doorbell is rung, when movement is detected, and when doors are opened. As well as the smartphone app, Vivint's system can be controlled by speaking to Alexa and Google Assistant (if you have a compatible smart speaker), or via the SkyControl Panel which is now called Smart Hub, a touch screen device fitting to a wall inside your home. 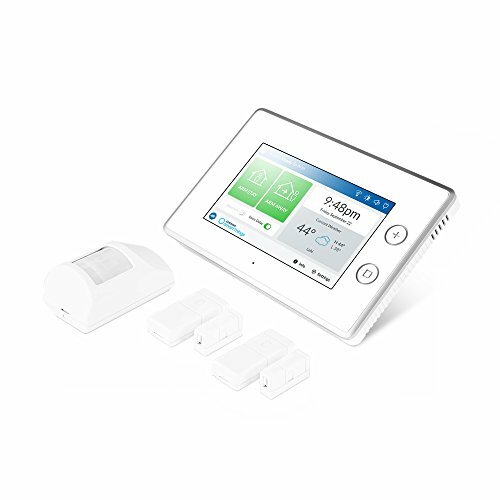 Interested in getting Vivint system, click here to learn more on special offer for GearBrain readers. Another professionally installed option, Xfinity offers 24/7 monitoring, battery and cellular back-up to ensure your system stays armed and online during power failures, and smart home control via a phone app. Xfinity's security systems include door and window sensors to know when they are opened, motion sensors, a wireless keypad to arm and disarm the system, and a touch screen controller which acts as a central command hub. Add-ons include indoor and outdoor cameras, smoke detectors, a thermostat and smart plugs. Xfinity partners with a wide range of smart home companies, including August door locks, Chamberlain garage door openers, Nest thermostats and Philips Hue lighting, to provide a complete solution that extends beyond security. The Xfinity smartphone app can be configured to notify you when certain things happen, like when the kids get home from school, or when the dog walker visits. The opening or doors and windows can also be set to alert you, or when motion is detected while no one is home. Also, don't forget to check out WHAT WORKS WITH XFINITY on The GearBrain, our new compatibility checker for smart home devices and systems. Next we have security systems offering professional features like constant monitoring, but which can be installed by the homeowner. This can of course save you money, but also it gives you a chance to better understand how the system works and how to get the most out of it. 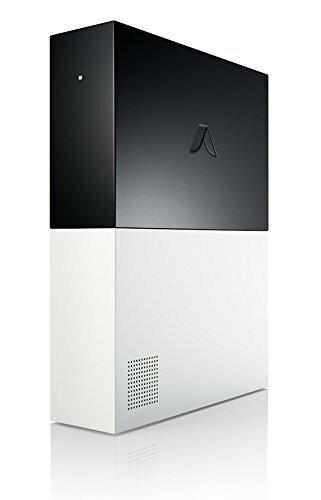 The Abode starter kit includes one gateway hub to connect everything to, one door or window sensor, one key fob for arming and disarming the system remotely, and one motion sensor. A camera can be added to this, and the hub allows for all manner of smart home devices to be connected, such as lights, locks, thermostats, garage door openers and many others. Every interaction with every device — a door opening or a motion detector being triggered, for example — can be sent to the Abode smartphone app. The app keeps a log of when everything takes place, so you'll know exactly when the front door was opened and closed. There's a backup battery in the hub, and an optional cellular connection can be paid for, keeping your alarm system online during a power outage. By knowing the location of your phone, the system can automatically lock doors when you leave, or open the garage when you return. Monitoring is available (and flexible depending on your needs and budget) but not compulsory. Alexa control is also part of the deal. IFTTT support means many personalized smart home functions can be added, such as making your Philips Hue lights flash when the alarm is triggered. 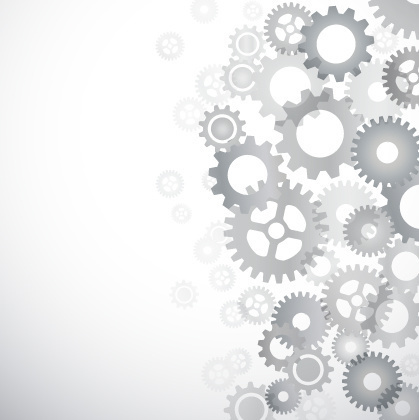 Read the GearBrain review of Abode here. This is another system offering professional-grade features, but which can be installed yourself. Frontpoint Security offers 24/7 monitoring (contract required), and the system gives itself a health check every 60 minutes to make sure everything is working properly. There's a smartphone app, an Apple Watch app, and Amazon Alexa support for voice control, plus a touch screen control panel for arming and disarming the system. Frontpoint's systems can include door and window sensors, motion sensors, flood and carbon monoxide sensors, and even sensors to detect when the glass of a window is smashed. The Frontpoint app also gives you control of Z-Wave smart home devices like lights and smart plugs. A cellular connection and backup battery complete this system. To find out more about Frontpoint or speak to a representative, you can either visit Frontpoint.com or call 1-844-238-7089. 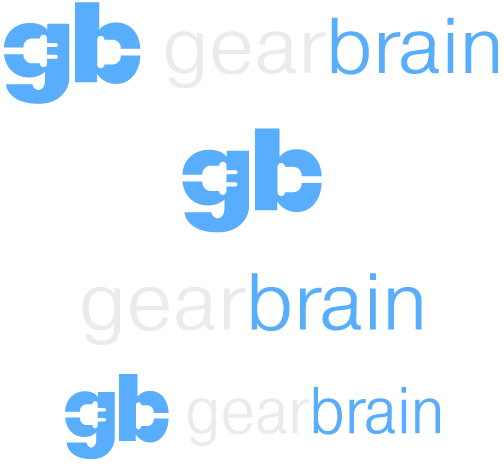 Read GearBrain review of Frontpoint Security here. With its stylish design and simple setup, Simplisafe looks like an off-the-shelf system for casual DIY-ers, but it boasts (optional) 24/7 monitoring. There are a range of cameras and sensors on offer, and the system recently gained voice controls via Amazon Alexa and compatibility with August smart locks. As well as the usual selection of door, window and motion sensors, Simplisafe offers cameras, glass-break sensors which can tell the difference between a broken window and a dropped plate, and 24 hours of backup battery life. As with the other systems featured in this article, Simplisafe sends alerts to a smartphone app, where you can see a log of when doors were opened and when motion was detected; live video feeds from Simplisafe's cameras are also found here, and footage is stored online for 30 days. Smart home security can start with a simple, sub-$200 camera which alerts your smartphone when it sees an unfamiliar face. You can then expand on this with extra cameras, IFTTT applets for flashing your smart lights when movement is spotted, and window and door sensors. This single device includes a Full HD security camera with night vision, a 90 decibel siren and a built-in climate monitor for measuring temperature, humidity and air quality. Video can be streamed or your smartphone, or stored online for up to 30 days with a monthly subscription. With artificial intelligence, the Canary learns your behavior and will start to auto-arm when it knows you aren't around (and have forgotten to arm it manually). It can also learn the difference between ordinary and unusual activity in your home, then alert you if something is wrong. 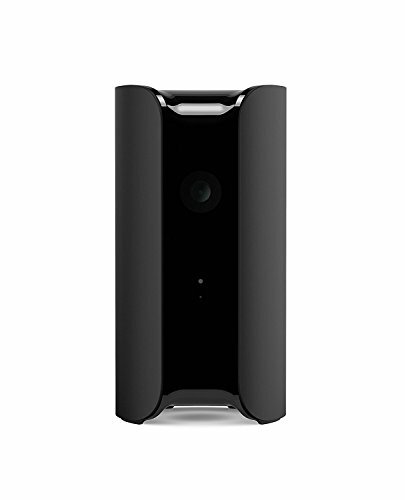 Canary also sells the Flex, a wireless HD camera which can be fitted indoors or outside and hooked up to the main system. Nest is best known for its smart thermostats, cameras and smoke detectors, but it also sells the Secure, a home alarm system. This system is made up of a base station which you log in and out of by tapping a key fob, called the Tag, against it (or by entering a passcode, if you prefer). The base unit has a 12-hour backup battery in the event of a power cut. Then there are door and windows sensors called Nest Detect, which sound the alarm and alert you if one is opened while the system is armed. The Detect is also a motion sensor, so if someone breaks in without opening the door or window itself, they will still be spotted and the alarm will be activated, alerting you via the Nest smartphone app. When combined with Nest's indoor and outdoor cameras, you can view live footage of your home to verify the cause of the alarm going off, before calling the police. Although other Nest products can be controlled with Alexa, Google Assistant and IFTTT, the Secure cannot. Finally, we have the camera-based systems. 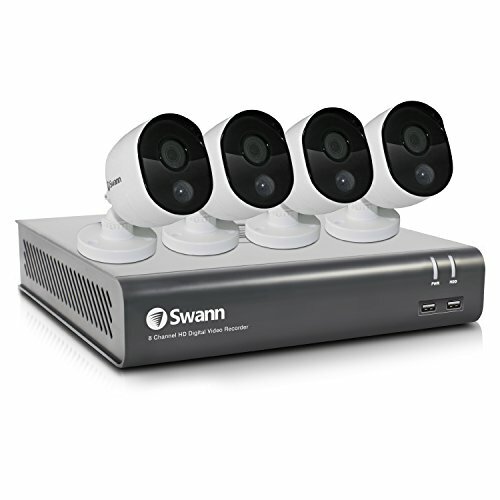 These use multiple cameras (some wired, some wireless) to keep an eye on your home, both inside and out. 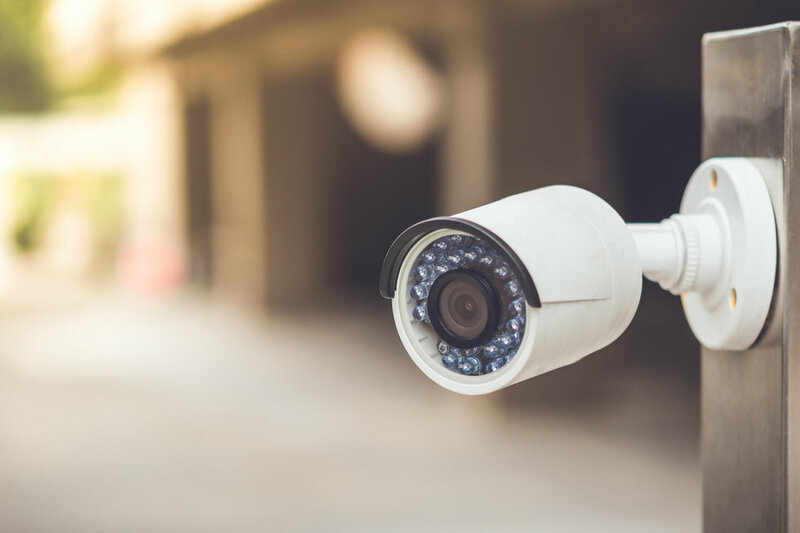 The cameras feature motion detection, so only record when they think they've spotted something, and can alert you to the presence of an unfamiliar face. For more security camera options for your smart home — especially if you are a renter — read this GearBrain guide.